In the world of personal finance, we often think that credit cards are evil. However, like so many other items in personal finance, how you use your different money tools can make a big difference. Before you decide to avoid credit cards altogether, consider the benefits of making a plan to maximize your credit card rewards. You might find that such a plan can lead to better budgeting. One of the best strategies you can use is to rack up the rewards points by making major purchases with your credit card. Whether you have cash back rewards, or whether you have airline miles, you can get more rewards when you plan to buy big ticket items with your credit card. The key is to have a plan. Using your rewards credit card to make large purchases before you have the money saved up can be counter-productive. The interest you pay will negate the value of the rewards you end up with. Instead, save up your money, as you had planned, and then make the purchase with your rewards card. Pay off the balance quickly, avoiding interest charges. Another way you can build up rewards points is to use your credit card for regular purchases that you already have budgeted in. Think about how much you spend on groceries, gas, and other expenses. Make those purchases with your rewards credit card. Your points will add up. Make sure, though, that you stay within your allotted budget so that you aren’t building up debt. The idea is to build up your rewards points so that you get free stuff — not pay interest. Be sure to stick to your budget and avoid buying things just because you want a few more rewards points. Another plan is to consider where you do your shopping, and consider what special programs can help you boost your rewards. Some credit cards, like the Shoppers Optimum card, offer special bonus points. With the Shoppers Optimum card, for example, you can get 25 points for use in store, for every dollar you spend at Shoppers Drug Mart. If you shop there regularly, you can rack up points to regularly receive in-store credit. There are similar programs offered by airlines and other providers of goods and services. If you have a certain loyalty, you can take advantage of that by using a specific card. This can be a great way to earn points for rewards that you are more likely to use. Of course, you have to be judicious about your spending, and make sure that you have a plan. 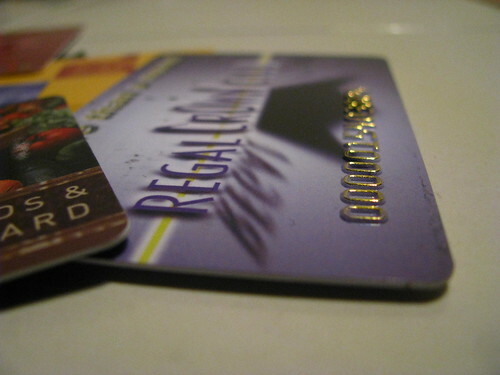 You don’t want your rewards card purchases to break your budget and tie you to debt. You really can use credit cards to your advantage. The key is to have a plan to use them within your budget. As with all your spending, it is important that you think about your purchases, and have a purpose for what you are buying. Don’t make purchases just to get the reward points. Instead, use a rewards credit card to make purchases already in your budget. That way you can maximize your rewards points, and reap the benefits of planned spending. We use our credit card to pay our bills every month but then we pay it off in full at the end of each month. We never pay interest. The travel rewards we get are usually good for 3-4 flights free flights a year. I’m very glad that you mentioned this, “The key is to have a plan to use them within your budget…. Instead, use a rewards credit card to make purchases already in your budget. That way you can maximize your rewards points, and reap the benefits of planned spending.” As a bankruptcy trustee I see people ranking in debt on their credit cards too often and it saddens me to see them do it. I’m glad that you’re encouraging users to shop smart rather than just shop. I found this blog a great help to me. This is helpful information. Using rewards credit card cards to already buy things within your budget it very wise. Who doesn’t like to get something for nothing? And with rewards cards you can, just be sure to pay your balance in full each month to avoid interest costs – as always, a great post with some good tips! There are lots of companies who offer you exciting offers on their credit cards. But the thing is what to do if you find one fine morning that your credit card bill is just too high for you to pay them all? What would happen if you find that your credit care debt is too much for your liking? Here are some of simple rules that will help you to avoid credit card debts. 1. Spend according to your earnings: This is the most important and effective way for having credit card debt relief. As some ancient sage said: “prevention is always better than cure”. If you always save more and spend according to your earning limits then you do not even need to think about any types of debts leave aside credit card debts. 2. Credit counseling: As they say “when in doubt, fix a date with an expert.” There are many credit counseling agencies around who can help you to find out a credit plan for you when you are in trouble.